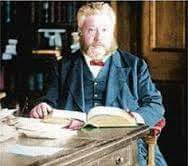 For those who would be quick to judge Spurgeon in what seems to be an immoderate preoccupation with reading and study without any service, he was a diligent soul winner during these days. He was a faithful sower of gospel seed, distributing tracts as a lifestyle, while seeking to enter the most poor, uneducated and obstinate homes in his field of service. Be sure to check out our Study Helps page.